Niles Animal Hospital and Bird Medical Center: Cats need veterinary care too! Cats need veterinary care too! Do Cats Need All of These Vaccines? Did you know that cats are 30 percent less likely to see a veterinarian than dogs? Many cat lovers skip annual vaccines and checkups for their cats, especially if they have an indoor cat. 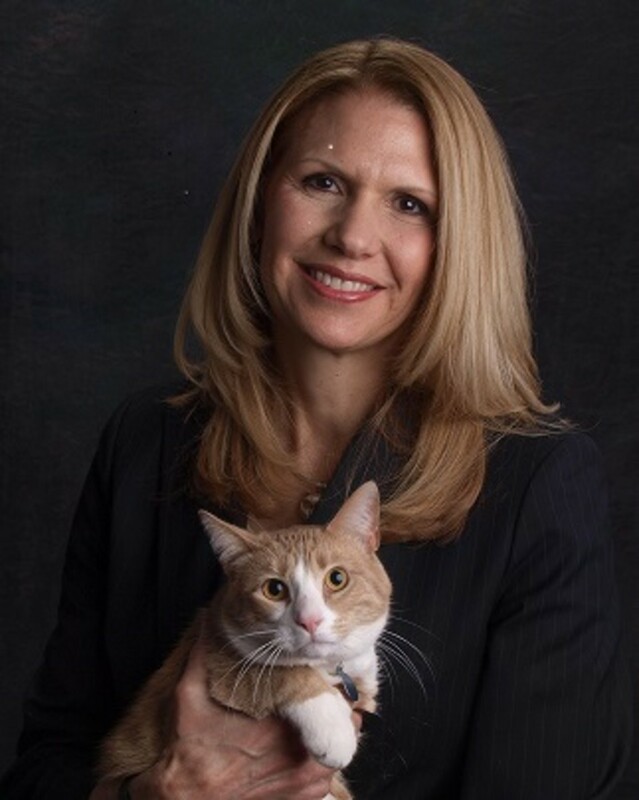 Dr. Jane Brunt, DVM, with Stanley, a spokescat for the CATalyst Council. Why Does My Cat Need to Be Vaccinated? Vaccines protect against specific infectious diseases. Skipping vaccines can put a cat’s immune system at risk. Last year, after adopting my kittens, I took them to the vet to be spayed, microchipped, and vaccinated for rabies. Kittens get an initial rabies vaccine that must be boostered in one year. In most towns a rabies vaccine is mandatory. Check with your local government to find out what is required. After the kitten series and a booster one year later, certain vaccines like feline distemper, Feline Viral Rhinotrachetis, and Calicivirus are recommended every three years, and instead of a shot, some veterinarians are using an intranasal vaccine. The best advice is to find a veterinarian that you trust, and have a dialogue to see what is necessary and what isn’t needed for your cat. Together you can both come up with a good health care plan for your cats. This video from Veterinary News Network offers more helpful advice on caring for your cat. Michele C. Hollow writes the pet lifestyle blog Pet News and Views. She also writes about interiors and travel for numerous publications, and is the author of The Everything Guide to Working with Animals and What A Long Strange Trip It’s Been, a biography of the Grateful Dead.